A friend asked me where he could buy my book. Is it at the Barnes & Noble? It certainly is, I told him. It’s everywhere. I mean everywhere. Every book store, hardware store and pharmacy. Everywhere means everywhere. So my friend expressed frustration a week later when he said couldn’t find my book anywhere. I have financial incentives to sell the book myself and there are customer benefits to buying it from me. I never charge the full $15.95 retail price and I make a real effort to make every book special. 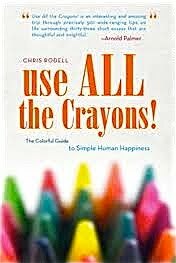 As the book is called, “Use All The Crayons! The Colorful Guide to Simple Human Happiness,” I sign each edition in crayon, coloring in the clip art crayons on the title page, filling in the circles and without fail include a colorful author self portrait up in the corner. It’s a little four-element smiley face with sun beaming from its Charlie Brown-shaped head. One happy reader described it as a minimalist Picasso. I’ve spent a good deal of the past two months sending the book away to dozens of friends. Please get in touch if I missed you. There’s fledgling evidence the book is starting to sell on its own and I hear good news about its prospects nearly every day now. Get this: I learned this week the book’s audio rights are being negotiated. Details are forthcoming but I promise, in keeping with my pledge to maintain affordability, if the cost winds up sounding too exorbitant let me know and I’ll just ride around in the car and talk to you for a couple hours. This is all encouraging because the only thing more minimalist than my art skills are my business skills. This became apparent when a business-minded friend of mine asked me about my business plan for selling the book. Gee, I don’t have have one, I said. If I was the kind of guy who thought up business plans I’d be a businessman. A business-minded man never would have become a writer in the first place. He never would have freelanced for 20 years, fathered children, or taken an office above a bar full of friends who pester him with text messages if he’s four minutes late for the daily Happy Hour. I wrote a book I thought would make people happy. I’m giving it away for free to anyone who wants one because I believe they will respond to the gesture by wanting to help me spread the word which, cross your fingers, will lead to increased sales. Talking with me was making her head hurt. Of course, she’s right. It’s nearly impossible to sell even worthy products today without social media, guerilla marketing and insinuating product placement. That’s why I think it’s the perfect time for a self-help book from a guy who has trouble helping even himself. I think we’re all fatigued from being asked to artificially generate something that faintly resembles grassroots. Everything is poll-driven, market tested and analyzed clear down to Higgs boson proportions. If it was, the ballyhooed new TV programs they try and shove down our throats every four months would endure for more than six episodes. So I’ve vowed to go the exact opposite direction. I’ll not ask you to “like” me or rush over to amazon to review or, heaven forbid, purchase the book. As I’ve long maintained, I’m giving my book away for free for the same reason Dr. Jonas Salk gave away the cure for polio: it would be wrong to withhold over money something that can help mankind. Too bad I can’t get paid for audacity. If you’re interested in paying for it, thank you very much. You can buy it online or we can make an arrangement. And here’s the business plan I settled on after being berated about my humbling lack of a business plan: If you’ve bought or received a book, all I ask is you think momentary positive thoughts about me and my book. That’s it. And, I swear, I think that’s going to be good enough. 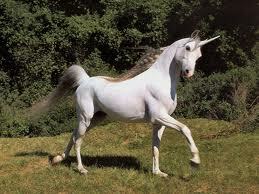 Yes, I intend to be the first writer to ride to success on the back of a unicorn! So I’ll spend the rest of the day keeping cool, sending out crayon-signed books and, like you, scraping about to find some actual wage-earning work. Dreams aside, we all have to feed our unicorns.